WHAT IS A WINE CO-OP? Dorianne and I have been members of the Conejo Valley Wine Co-op for four years. The co-op itself is nearly 30 years old. 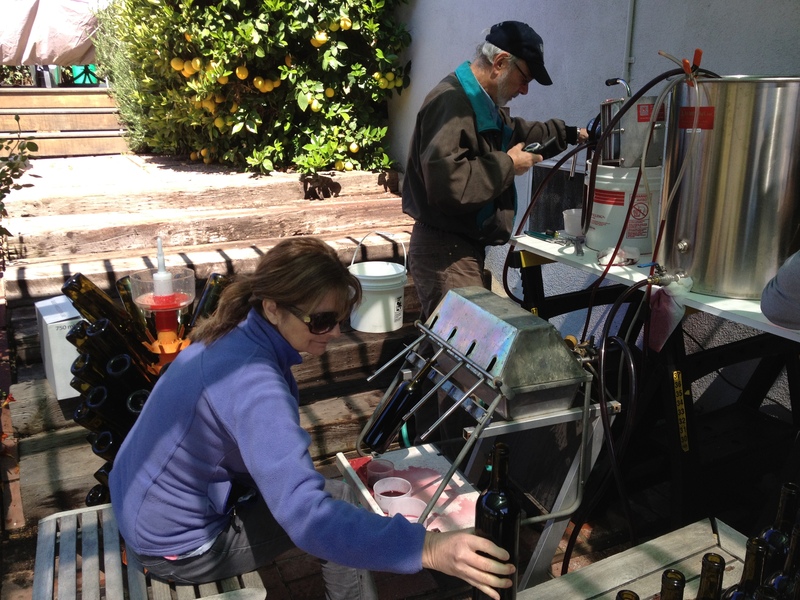 Like other co-ops of its kind, it is an amateur wine making operation where the wine is made for the personal consumption of the members. Co-ops can be of any size. Ours is 20 shares – two for the winemaker, and the other 18 are in full and half-share members. There is an annual assessment per share to cover the expenses (grapes, bottles, corks, electricity and water, equipment, etc.) and a capitalization fee upon joining. The wine is divided by the number of shares after bottling. Some co-ops process their own grapes; some use a “custom crush” site – basically a winery that is open to processing grapes from small-batch customers. 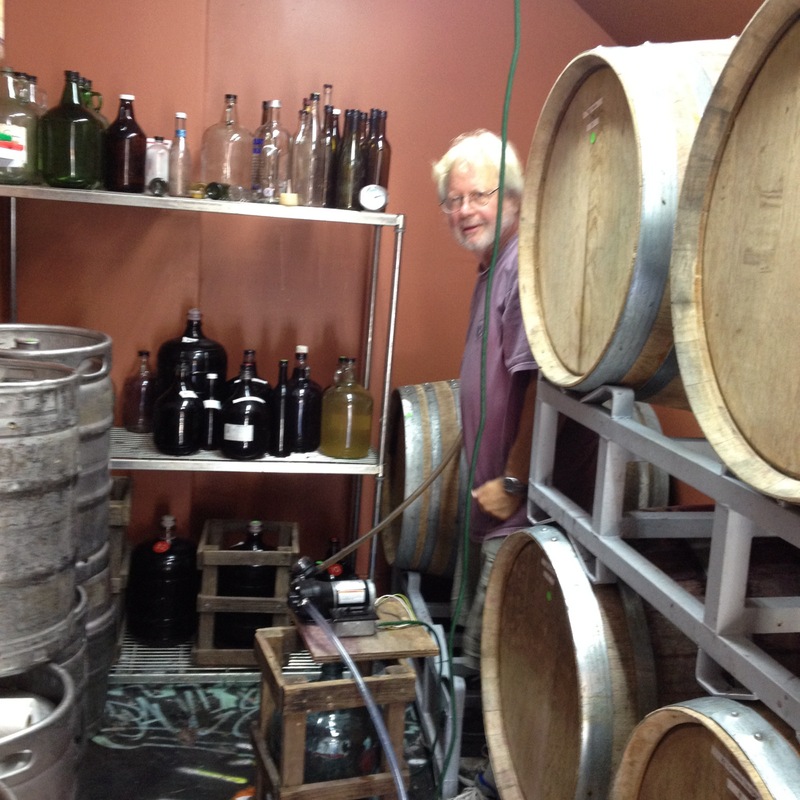 In our co-op each shareholder provides some labor, mostly at harvest and bottling times. Harvest is usually in September and October and involves getting the grapes, transferring them to the fermentation bins, and cleaning up afterward. Then, after fermentation, we press the grapes using a bladder press and put the red wines into oak barrels and the white wine into stainless steel, and clean up afterward. Our co-op normally does three or four reds each year and one white. We generally purchase 1100 pounds of each varietal grape; the white wine is usually purchased as juice because of the difficulty of transporting white grapes in a warm climate. 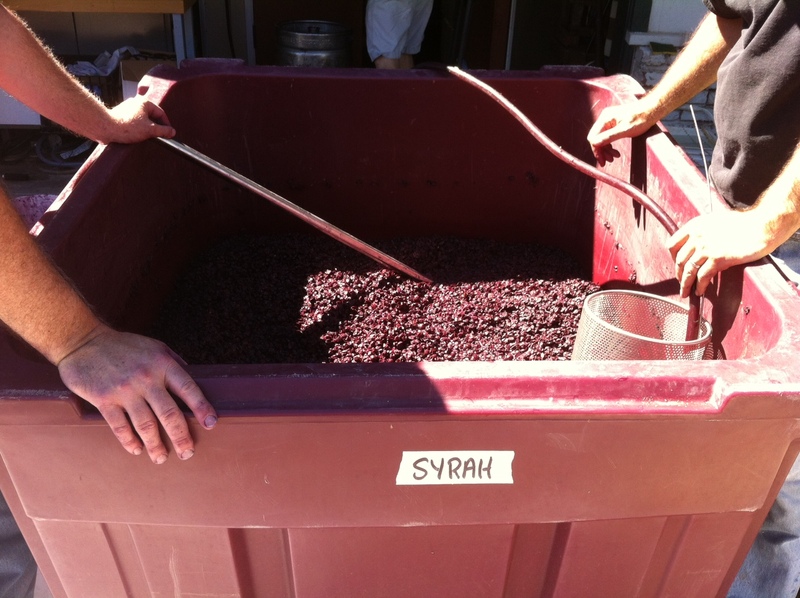 Getting the Syrah Juice out of the Must after Fermentation. Bottling is normally in late May or June. We bottle the previous year’s white and the reds from two years prior. So the reds age 18 months in the barrel and the white ages 9 months in stainless steel or a combination of stainless and oak. Dorianne working the bottling line. At the annual business meeting in February or March, we meet and blind taste the wines to be bottled that year. Each shareholder gives each wine a rating of 0 to 10. The highest rated varietals will normally be bottled at 100%, or used to blend in small amounts with a lesser-rated wine. We usually end up with two pure varietals and two or three red blends each year. 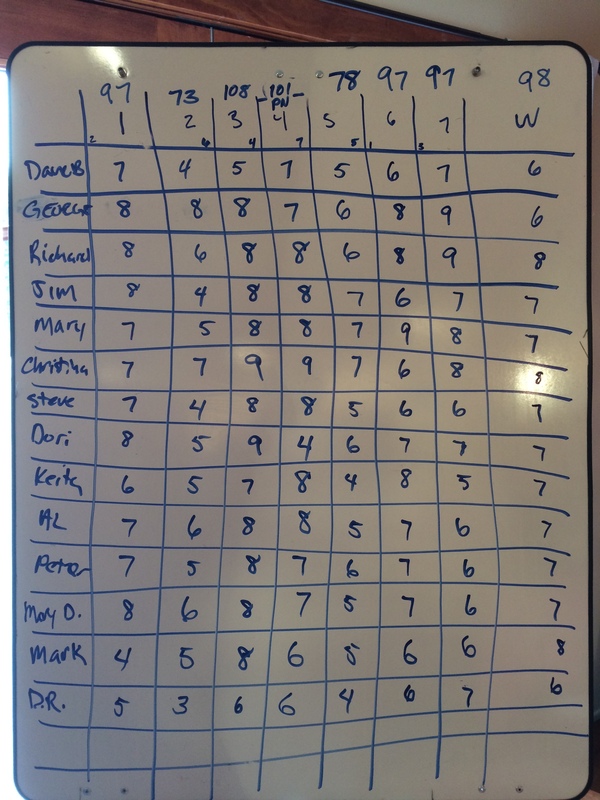 Also at the annual meeting, we decide on what varietals to purchase the following season. Since we are close to the Malibu and Central Coast AOC’s, we usually get wines from producers there. 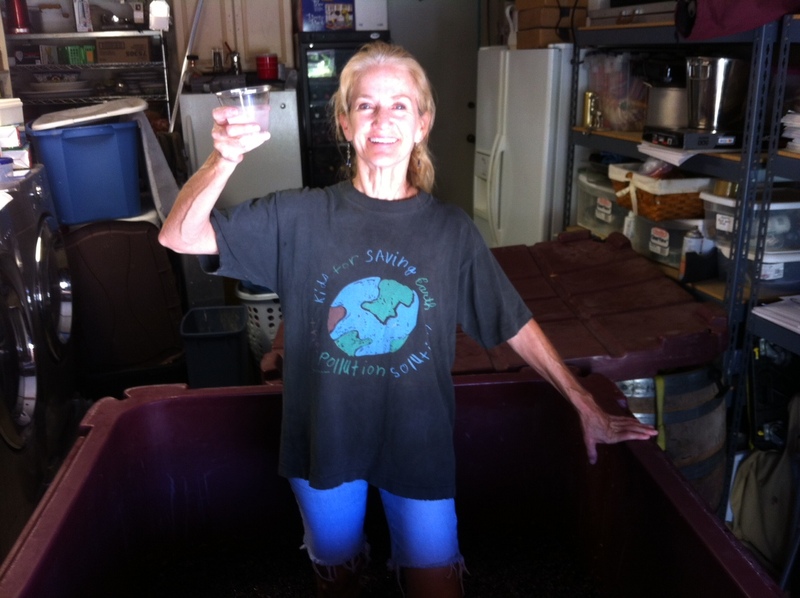 Lately, we have been getting almost all of our grapes from the Paso Robles area. 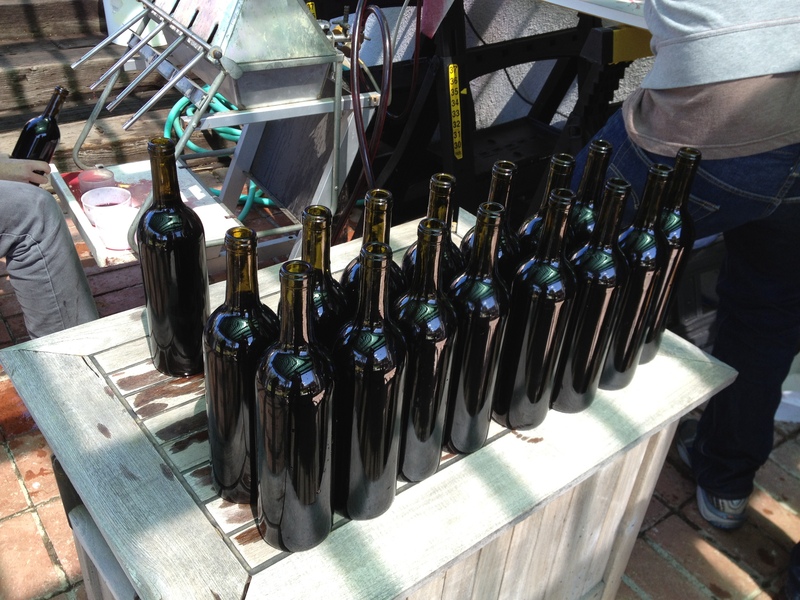 For 2015, we bottled Cabernet Sauvignon (2013), Merlot (2013) and a Zinfandel/Merlot 80/20 blend (2013); and a white – Viognier (2014). Next year’s bottling will feature a Pinot Noir (2013) that wasn’t ready this year, and Rhone varietals Syrah (2014), Granache (2014), Mouvedre (2014) and Malbec (2014). The white is expected to be Rousanne (2015). Each year, the varietals are different and the blends are different. We are true Garagistes, in that our operation is in a garage. Our winemaker, Richard Clark, converted half of his two-car garage into a cool room where the wine is stored for aging. Tubes connect the wine room to the front driveway for pumping wine into the barrels and tanks and to the rear deck area for pumping the wine out for bottling. What are the benefits of being in a co-op? Well, to name a few, there is cheap wine that ranges from drinkable to very good for yourself and to give away (each shareholder makes their own labels – ours is Domaine Dorianne), learning about winemaking by participating, chances to help with other tasks like racking, barrel tastings any time you want (need winemaker’s ok), social connection, and something to talk about at parties. We have found that it has greatly added to our wine knowledge and enjoyment. And, by the way, if you are local to our area, our co-op has a few shares available! Great write-up, Jim. Thanks for your efforts with your blog and in publicizing wine coops. We’re always looking for new members.